AGEVOLAZIONI DI VIAGGIO IN OCCASIONE DELLE ELEZIONI POLITICHE DEL 04.03.2018. Previous Post:MANIFESTO DI CONVOCAZIONE DELLA COMMISSIONE ELETTORALE COMUNALE PER LA NOMINA DEGLI SCRUTATORI ELEZIONI POLITICHE DEL 04.03.2018. Next Post:ELEZIONI POLITICHE DEL 04.03.2018. 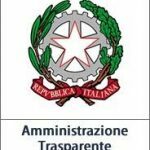 RILASCIO CERTIFICAZIONI AD ELETTORI FISICAMENTE IMPEDITI.